Why not email or phone – it costs nothing to get a quote. 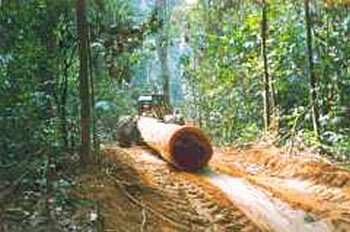 Ekki is native to tropical West Africa with large quantities being exported from Gabon and Cameroon. 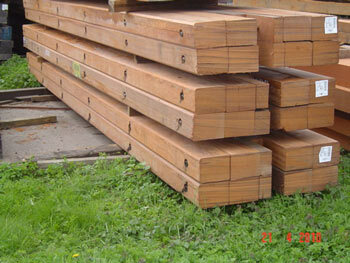 The timber has a high breaking strength and can withstand tremendous pressures. Due to ifs great strength and durability Ekki is ideally suited for use in marine constructions exposed to wind and weather, It has a high electrical resistance and is perhaps the most acid resistant commercial timber available. The tree can grow to a height of 40 – 50 metres with a maximum diameter of 1.8 -2.0 metres. The trunks are usually free of branches up to 25 – 30 metres, which makes it an ideal timber for producing long lengths of large sections. 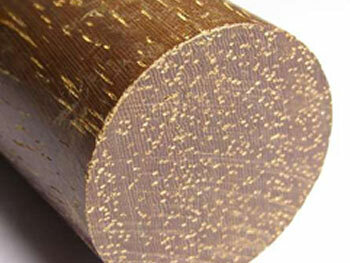 Durability – very resistant to decay and marine borers. Class 1 Very durable. Working Qualities – difficult with hand tools but takes a good machine finish. Nailing and screwing – drilling beforehand is necessary. Working Qualities – difficult with hand tools but takes a good machine finish. Nailing and screwing – drilling beforehand is necessary.